I really should have listened to my Balance Interactive c0lleague Jeannette Modic. Last year I asked our team for names of websites that they found engaging. Jeannette shouted Pinterest! And I said “what?” Well, she spelled it for me and I wrote it down. It sat on my “sites to check out some day” list ever since. Silly me. Pinterest is a virtual pinboard. Users organize and share things they find on the web. People use pinboards to track the things that interest them. Users can browse pinboards created by other people. Millions of people have caught on to this site and its potential. There is a lot to do here, but I want to focus on how this can serve business communication needs. Pinterest has proved to be a great way to drive traffic to your site, and in some cases, has out-performed Facebook, according to Adage. Pinterest users are engaged. These users post a lot and conenct with social media. This factor, along with ability to link between Pinterest and other web properties, also gives this site great search engine optimization (SEO) value. The most obvious use for Pinterest from a business perspective is to market and sell products. By adding a price to a pinned item, you can direct users to your online shop, and your post will be automatically listed under Pinterest’s Gifts section. Challenge users to repin your product photos, choosing their favorite; randomly select one user who re-pinned the product that gets the pins. Ask users to pin their own photos of your products. The one that gets the most engagement from other users gets a prize. Tell users about your company, products and services in a personal way. Include pictures of people, offices, and activities. Help users get a personal look at the business and the people behind it. Offer an exclusive discount or coupon open only to Pinterest connections to reinforce connection and engagement. You can share it on the site as a QR code or printable voucher. iPhone users have the added advantage of being able to take the coupon into your store using nothing more than their phones. 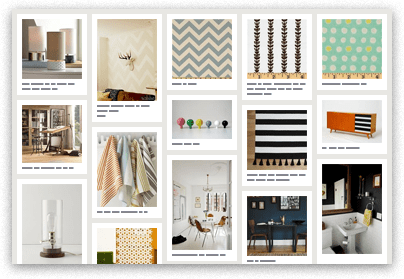 Use Pinterest as a crowdsourcing service. Ask followers what they think by having them repin or like your images. Tje volume of repins and likes will let you know what your customers want. Ask followers to post photos of realted to your business. Ask them to include a unique keyword in the description to keep track of the images and then re-pin them onto your own boards. You can also use Pinterest to invite people to events.